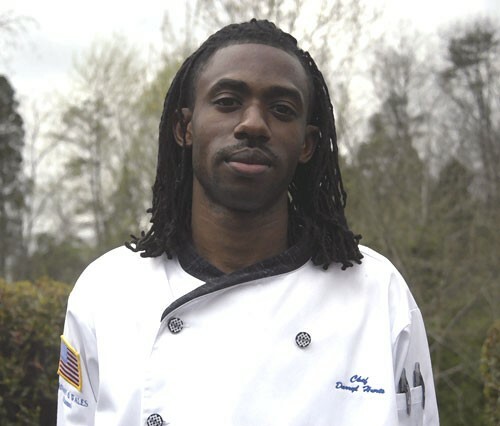 Chef Darryl Hurts, owner of Spice Makers Personal Chef Services and Louisiana native, believes that when it comes to making good food, passion must be the main ingredient. The Johnson & Wales graduate has established himself as a personal chef where he aims to provide the Charlotte community with food that is second to none. Creative Loafing: Who are some of your favorite chefs? Chef Darryl Hurts: I like Bobby Flay. Hes probably one of the ones I look up to the most. Even though people might categorize him as a TV chef or this, that, and the other, his style of cooking is pretty similar to how I would like my food to look, visually. Even if we dont use the same spices, his presentation is what really captures my eye about his cuisine. Hes definitely one of my favorites. To be honest, I dont have many more other than that. What is your least favorite part of working in the food industry? Probably the fact that it takes away from your personal life, especially if you let it. There can be a lot of cases where a normal day for you can be a 12-hour shift, especially if you work in a restaurant or hotel. And if youre at the sous-chef position or executive chef position, thats something that is expected from you on the day- to- day basis  you may not have one day off for the whole entire week. That is definitely one of the things I look down on as far as the industry goes. As far as me being a personal chef, I had the opportunity to kind of take control of my own destiny, as far as how much time that Im working, and how much time that Im not working. Sometimes its dictated by my clients schedules, because I cook for some of the NBA players, so depending on when theyre in town, and when theyre not in town, is kind of when I can do my thing for them. Why did you choose the track of a personal chef, why not an executive chef at a 5-star restaurant, for example? When I graduated from Johnson &Wales I started working for a company called Compass Group. I was the Executive Chef for Presbyterian Hospital, so I was on the health care side of things. I also worked at the Johnson & Wales downtown as the Sous-Chef/Production Manager, and no disrespect to the company or anything like that, because I learned a good deal on whats good and whats not as far as the industry goes, but it was just one of those things where I think because I rose up in positions so fast, so much responsibility was placed upon me. So there would be days where something would go wrong, and I wouldnt be at work that day, but it would be my fault. The pressure, I guess can be overwhelming. But, me being a personal chef, I was able to take that back. If I mess up something, its because of me. I rather blame myself and put the blame on me, instead of someone else messing up, and the blame get put on me.